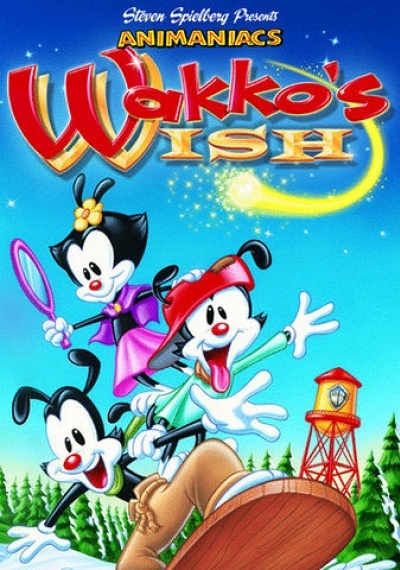 Wakko's Wish :: Movie Information :: RabbitTV GO! Includes 15 original songs, created just for the movie! It's musical, magical mayhem as the Animaniacs race to the wishing star to try and make all their dreams come true. Miraculously, Wakko picks the one star in the sky that can make all his wishes come true. There's only one catch - the only way to get the wish is to travel to where the star has landed and touch it. Watch as Wakko, his brother Yakko and sister Dot embark on a head-over-punchlines quest to be the first to find the star.